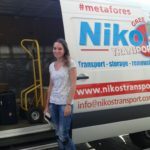 Nikos Transport offers guaranteed weekly service to and from Greece. Goods are collected from your door all over the UK and arrive to our main warehouse in Manchester. 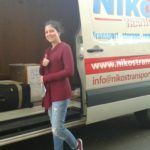 Road freight groupage starts every Friday from Manchester to our depot in Aspropyrgos Athens in guaranteed time of 7 days. 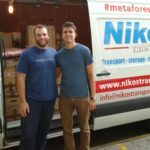 You can visit our depot and collect your goods from the depot free of charge; otherwise with a small fee can be delivered to your door in every city in Greece including mainland and islands. 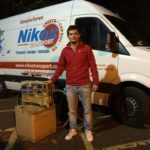 Road freight groupage starts from our depot in Aspropyrgos to our warehouse in Manchester every Thursday. You can drop off your goods to our depot at no extra cost or collection can be arranged from your door with a small fee. Once your goods reach our warehouse in Manchester, we deliver straightforward to your door everywhere in UK. We have scheduled visits to London and Whales twice every week and to Scotland at least once every week. If you need more information on our depot in Greece please call at Nikos 0030-211 1987 516 .